A very promising technology to overcome blindness to mimic the function of the retina of the human eye. What if the blindness can be treated as easy as turning on the lights? That is what is being pursued in a study by a team of doctors at the Oxford Eye Hospital, UK. They are trying to restore the eyesight to blind people by using the latest bionic technology. The trick is to embed an analog chip on the back of the eyeball. 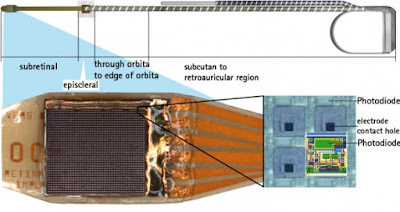 As quoted of the Geek on Friday, January 8, 2016, the chip has a function to captures light and then forward the signal to the brain, similar to the role of the eye's retina. 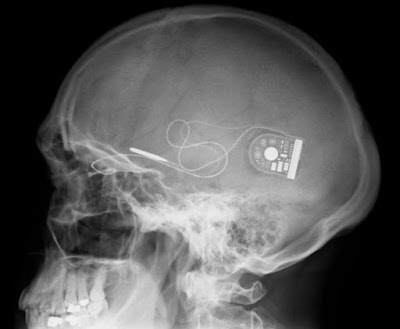 The chip is paired with a microprocessor as the data processor embedded in the skin behind the ear. This processor sends electrical signals of the light captured by chip to the optic nerves and read by to the brain into visual form. 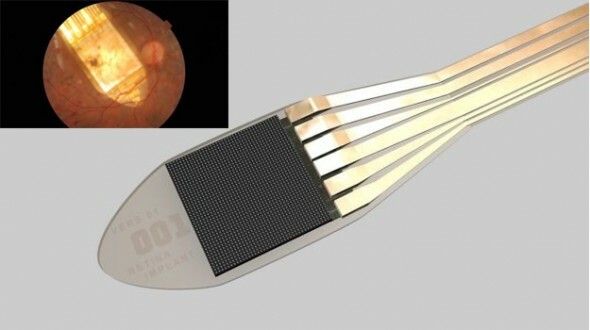 This technology could be used for blind people who suffering of retinal damage due to the disease. The developers of the chip, German based Retina Implant, concluded a study in 2014 in which 26 patients had the subretinal chip implanted and showed marked improvement in their vision. 80% were able to distinguish light, while 54% had the ability to make out shapes.